President Museveni has revealed that Uganda, will in a few years to come, start manufacturing car engines that could be sold to both local and international markets. Museveni made the remarks on Wednesday during the function to commission assembled armored military vehicles by the Ugandan army at the UPDF Defence depot in Magamaga in Mayuge district. “It is good that Ugandans have started to wake up from the sleep they have been in. This is simple physics and chemistry that most educated Ugandans know,”Museveni said. According to Museveni, the Ugandan army found a hard time with land mines that always hit both the soldiers and their vehicles during the Lord’s Resistance Army insurgency in Northern Uganda after being armed by Sudan’s Omar El Bashir who by that time was enemies with Uganda. Some of the finished Nyokas ready for use by the UPDF. He said that at first, he advised the army to stop moving in vehicles and walk on foot so they could be able to detect the land mines. “We got Buffalos and Mambas from South Africa and this was a big blow to the Kony rebels being supported by Bashir,”Museveni noted. He however noted that when the land mine resisting vehicles were taken to Somalia under the AMISOM, UPDF suffered many casualties on the hands of the Al Shabaab insurgents. Museveni inspects one of engines assembled at Magamaga. 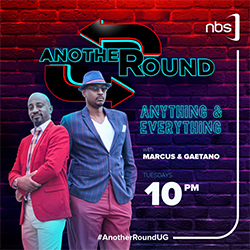 Museveni said that because the manufacturing company for the mambas and buffalos in South Africa was now out of business and new spare parts were nowhere to be got on the market, they devised means of rebuilding the vehicles and make them armored. 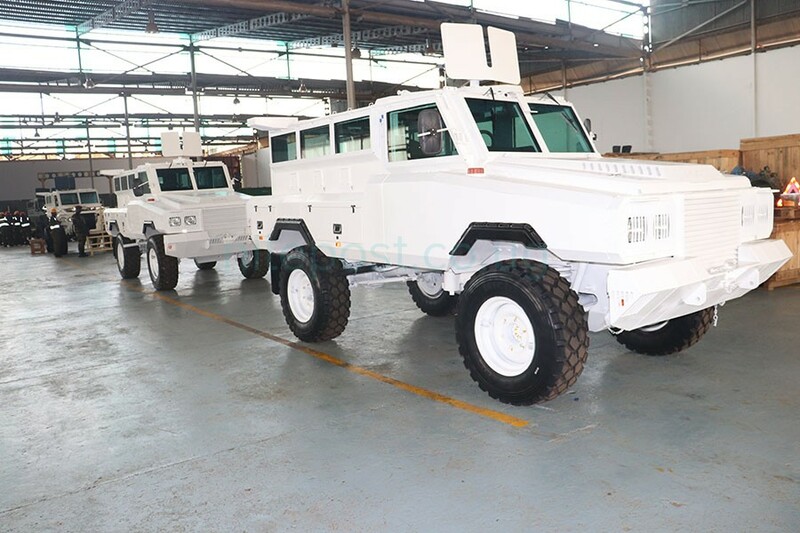 Uganda has since started assembling its own armored military vehicles named Nyoka, a Kiswahili word for snake and these have been used in war areas like in South Sudan and Somalia and have been effective. According to Museveni, when the steel factory in Tororo opens, Uganda will now be able to produce its own steel, other than recycling metals and importing still from Sweden. Museveni tries out one of the finished Nyokas at Magamaga. He added that the army would now start looking at assembling for wide consumption of even civilian vehicles for sale. The Chief of Defence Forces in the UPDF, Gen.David Muhoozi described it as a bold step in the right direction for the Ugandan army. 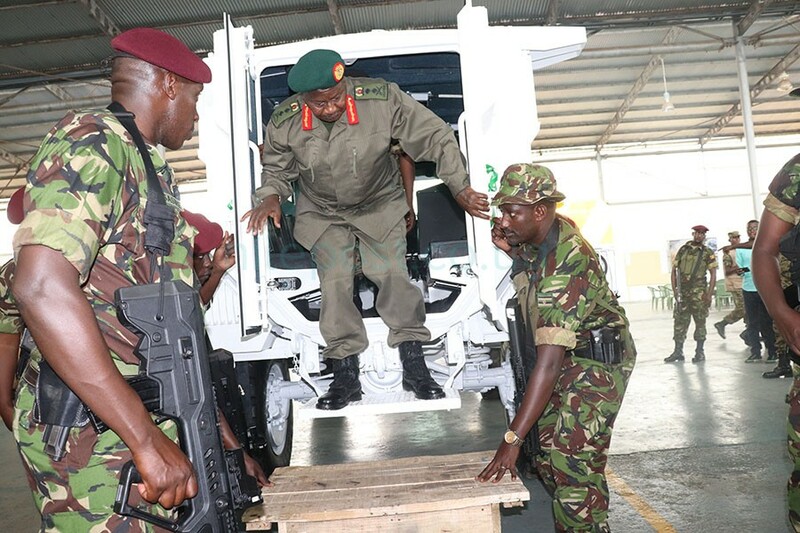 “A large number of vehicles have been revived from their carcasses and there has been technology transfer as many people have been trained,”Gen.Muhoozi noted. 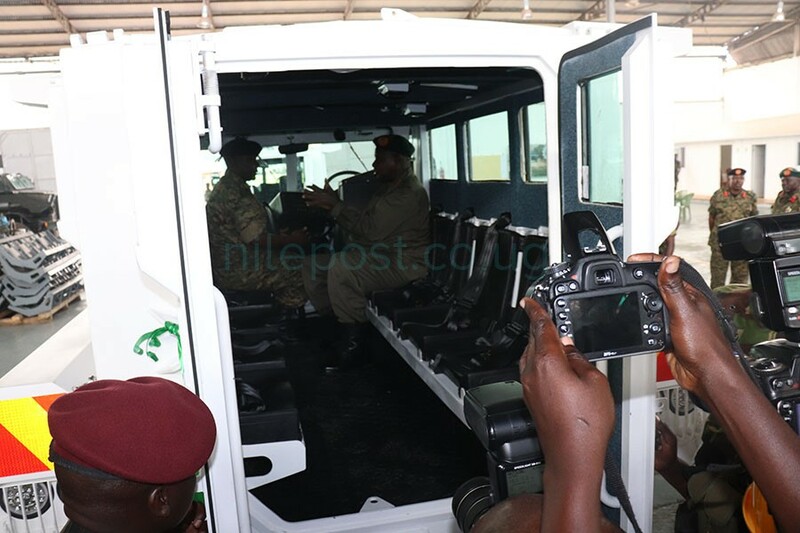 He added that with such technology, the Ugandan army deployed in Somalia under the AMISOM will greatly benefit through use of armored vehicles assembled in Uganda to help them during patrols especially in the Al Shabaab infested areas. 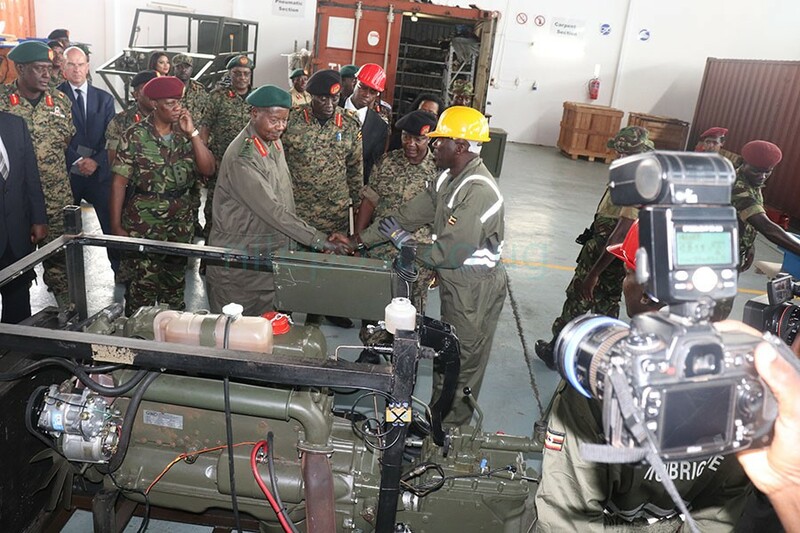 The UPDF motorized infantry brigade commander, Brig.Charles Byanyima said they have already finished assembling 20 vehicles but noted that they are looking at improving on their technology with years to come.